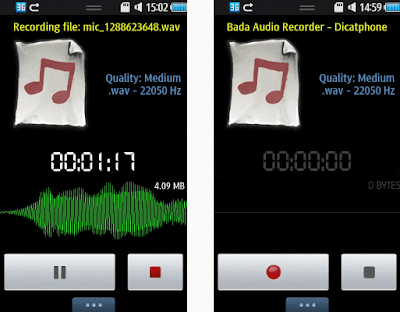 WavRecorder app for BADA platform is a simple and useful voice recording application for Bada phone. It allows you to record voice notes in Wav format with 3 quality (Low, Medium and High). One button press to start recording. You can also choose the location to store your audio file on the phone or memory card. Media player embeded for playing sound files. Arrange audio files by date. Multilanguage support: English, French, Chinese. Download the app for FREE from samsungapps.